LINCOLN PARK, N.J., Mar. 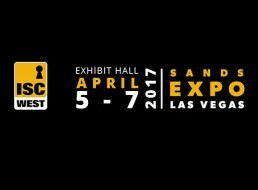 22, 2017 – The International Security Conference & Exposition – also known as ISC West is holding their 49th annual conference set for April 5 - April 7. IGM Creative Group, a full-service advertising agency based in New Jersey, will have a good presence at ISC West 2017 with Jay Stack, President, attending this year as a Robolliance expert. LINCOLN PARK, N.J., Mar. 22, 2017 – IGM Creative Group, a full-service advertising agency based in New Jersey, is excited to announce it is offering next generation multi touch kiosk technology. Multi touch technology is the seed of innovative design using touchable devices. This technology allows for multiple points of contact such as zoom in, zoom out, rotate, pinching and swiping, all creating a unique experience.